Nothing quite says relaxation like the art of yoga. As the Bhagavad Gita once said, "Yoga is the journey of the self, through the self, to the self". Discover your inner self against a backdrop that exudes as much relaxation as the actual yoga class. Practice your downward facing dog and mountain pose while taking in the sights and sounds of The Chanler's finely manicured grounds and the waves coming ashore at Easton's Beach below. It's the perfect start to your day of ultimate relaxation. Our newest complimentary on-site experience at The Chanler this summer is 'Yoga on the Lawn'. 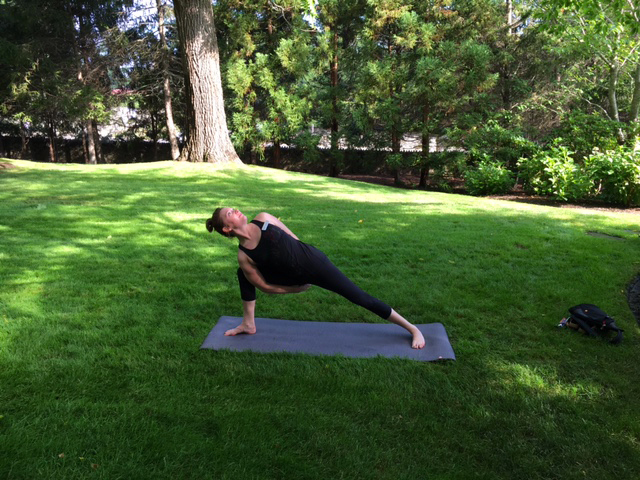 Yoga classes will be held in the shade on our lawn on select Saturday mornings beginning at 9:00 a.m. All are welcome to attend for a small fee of just $10 per person. Namaste.